Of all the messages that come through my mailbox regarding opportunities to review items, I've got to say that my favorite ones are those that have to do with shirting. I actually take the time to not only read the messages but also check out the related websites and social media. As I sit here writing this, I realize that I have been extremely fortunate when it comes to the brands that I have responded to as I have yet to be disappointed in this regards. I supposed it could be argued that I kind of stack the deck when it comes to this since I try to exercise care in who I work with based on what I find while doing my research and Hugh & Crye is no different. So let's get into it. Now in my mind, this non-traditional approach could have gone either very well or very bad but of course Hugh and Crye wouldn't be where they are today if the system didn't work. The fit chart allows you to compare your typical neck, chest and sleeve measurements to their unique fits such as the Short/Skinny and the Tall/Broad. For kicks, I used their "Fit Finder" tool to test for accuracy and it spat out the oh so accurate Average/Slim for me and man does this shirt fit on the money. I'll be showing the fit in an upcoming post so keep an eye out for that. 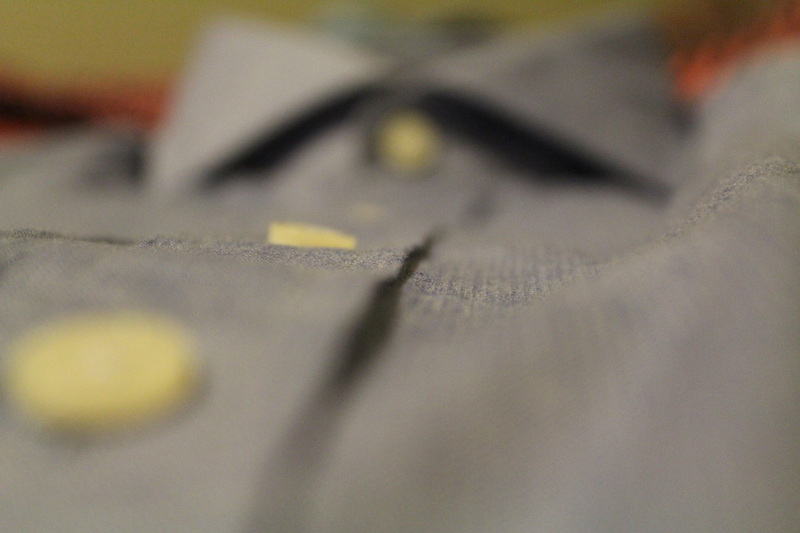 On my first pass through the website, I was slightly hesitant due to the number of options offered but as I settled into it, I realized that their shirts were neatly categorized by color, collar type, fabric etc. The timing was also perfect in that I'd been looking for a light washed denim cutaway shirt and the "Toya" fit the bill of what I had in mind. 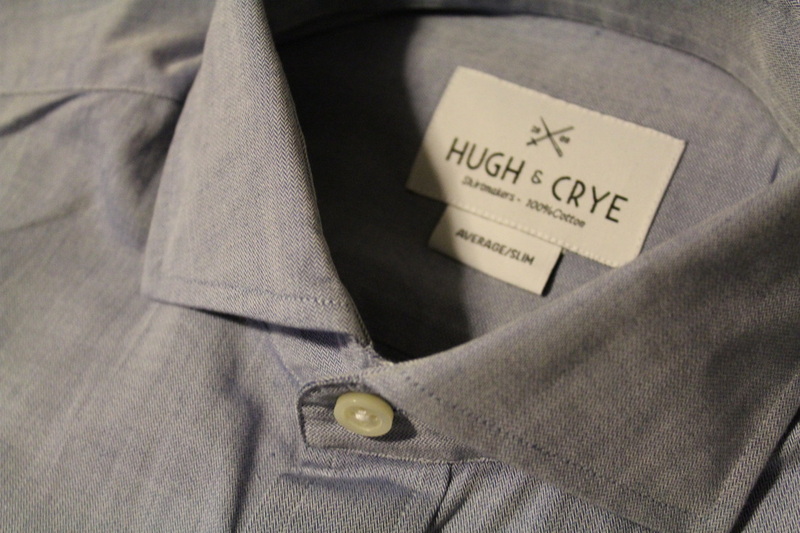 Hugh and Crye is unique in that their shirts don't come in traditional sizes. Instead they created their own sizing system with twelve sizes based on overall torso height and upper body shape. They also provide a fit finder and fit chart to help with figuring out which of the sizes work best for you. A few thoughts on fabric and construction. 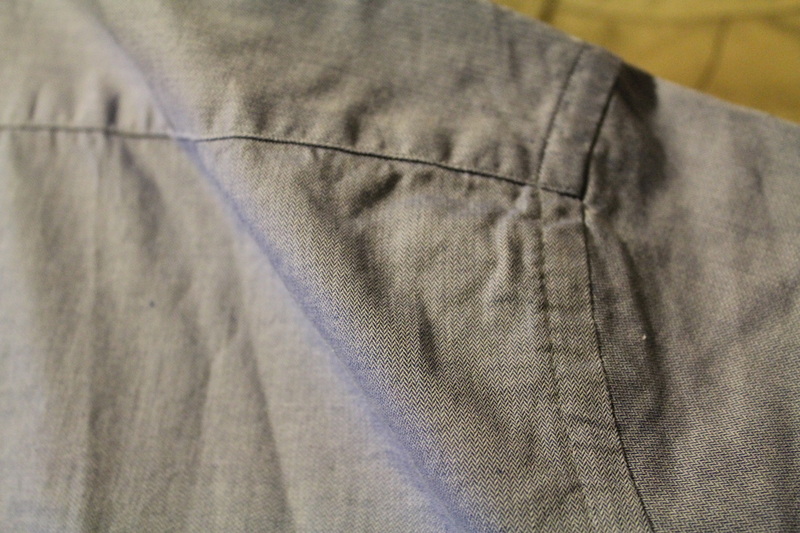 The wash of the fabric gives it a nice soft feel. The fabric is 100% two-ply Egyptian cotton from the Italian mill Tessitura Monti in a mid-weight herringbone twill weave. 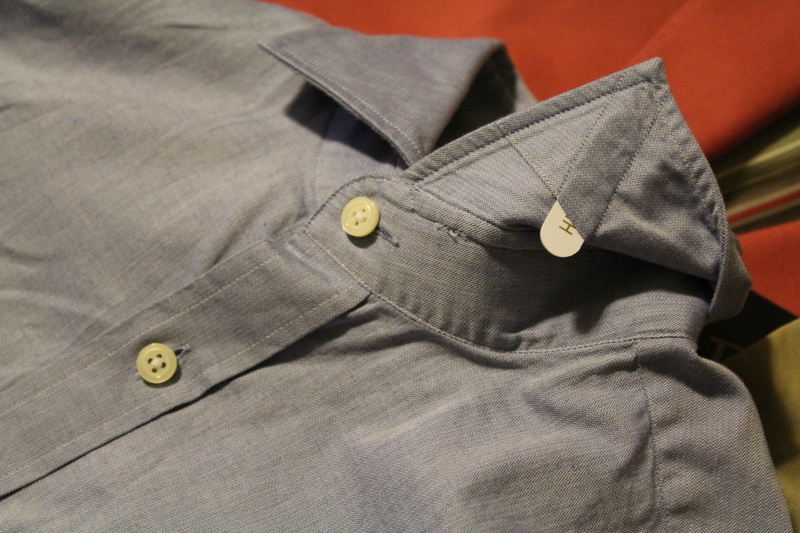 Construction seems solid with a box placket front, two back darts, removable plastic collar stays and solidly sewn on natural buttons. I will say that the buttons are probably my least favorite thing here. I wish they were a bit thicker. 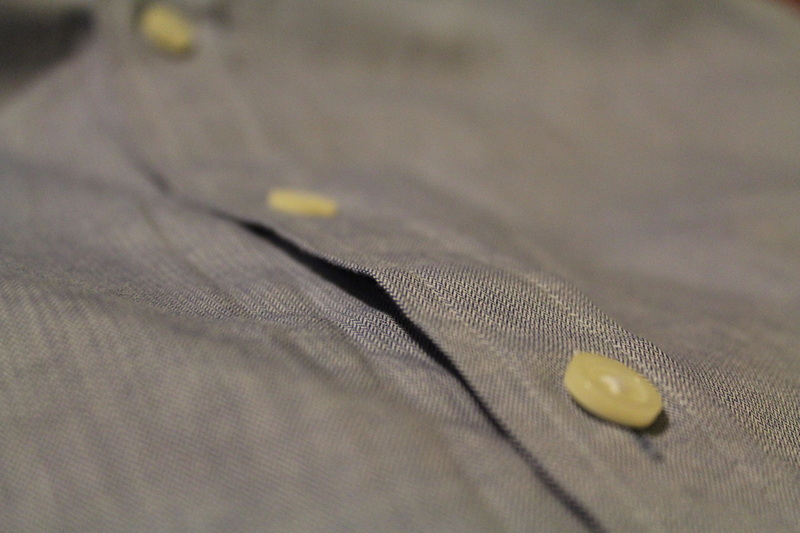 However, I do also know that they offer mother-of-pearl buttons on some of their other shirts as well as brass collar stays, so it seems those are just options that didn't come with this shirt. I'm glad to see an American company that is sourcing production responsibly like Hugh and Crye is, putting out some great product. 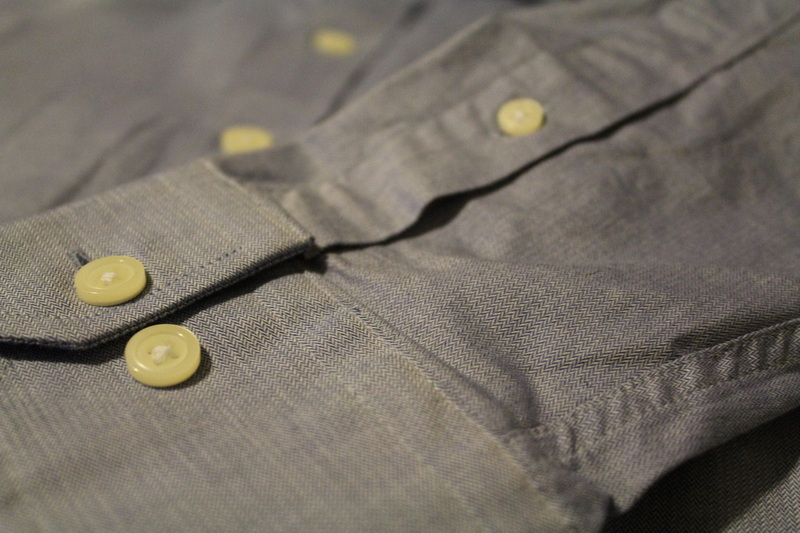 Overall the "Toya" is a well made, durable feeling shirt which is perfect for how I plan on wearing it. It also comes in a range of colors which while I'd love to see come my way, I am also willing to put my money where my mouth or in this case, my fingers are. Check out Hugh & Crye here.